– Barbara Diener, Travel Advisor, Atlanta USA. If you are looking for private walking or driving tours, with guides who are passionate about showing you the best of of London and England, and now Scotland too, then welcome. 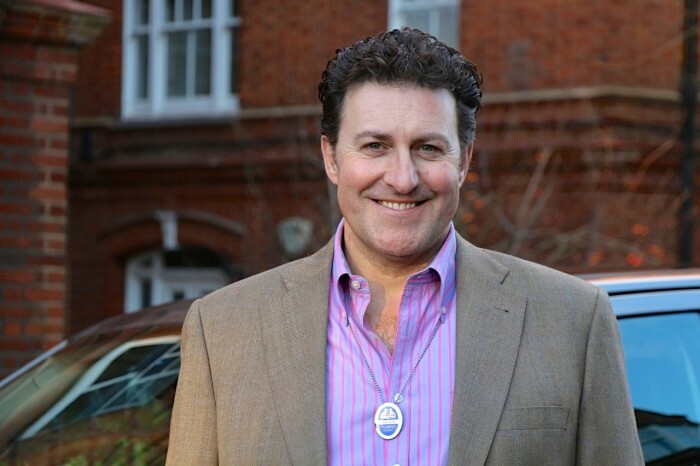 My name is John Blakey and I am a Blue Badge Guide and tour planner. My colleagues and I very much look forward to ‘showing off’ our great city and beautiful country to you: I have a small team of superb guides in London, all over England and in Scotland, chosen not only for their knowledge (all Blue Badge Guides are incredibly knowledgeable) but also for their personality… I have never liked the type of tour where a guide simply spouts facts, so we would not inflict that upon you! All our guides are engaging, love storytelling and entertain as well as educate. We will customise your tour to suit you, whether you would like a local friend to show you how to get around, a jaunty tour to keep your children happy, or whether you would like like deep history and cultural tours of museums and art galleries. Whether you are staying in London, Oxford, Bath, Salisbury, Stratford Upon Avon, The Cotswolds, Devon, Cornwall, York, or Edinburgh, we can organise your tour with an expert local guide for superb private walking or driving tours. We are not travel agents – in fact, a lot of travel agents come to us to provide guides for their clients; we pride ourselves on being the best that we can be at one thing – giving you, agent or individual, the best guides in England and Edinburgh. Having said that, we can advise on hotels and restaurants, and send links to you to make it very easy to make your own enquiries or bookings. And what is a Blue Badge Guide? 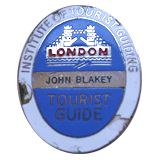 The Blue Badge is the highest qualification issued by UK’s Institute of Tourist Guiding. It is considered so important that the year I graduated that our badges were presented to us by the British Government’s Minister of Tourism. Nearly 2 years of study, travelling and researching all over London & England, culminates in 5, three hour written exams and 6 oral / practical exams in the main London attractions. It’s why we, who hold the Blue Badge are so proud of it. It takes long hours, dedication and determination to get one and as result we are like no other guides in the UK. Windsor Castle … to name but a few. It also means that with us, our guests can bypass some of the longest lines (we call them queues) in London, which can be very handy when the line is 600 deep outside Westminster Abbey. As well as private walking tours in London, we can arrange tailored private tours in saloon cars for up to four passengers, MPV’s for up to 6, or in mini coaches for larger groups. You can tour London or further afield, including overnight tours in the rest of England. We can also arrange day trips and tours from cruise ships. Please Contact Us to ask for a quotation. We have guides who are qualified to guide your tour in English, French, Dutch, German, Spanish and Russian. And if you are planning on visiting France, Italy, Ireland, Wales or Japan, I can put you in touch with my ‘sister’ companies in those cities. My Blue Badge (pictured in the upper right hand corner of the site) is a bit battered now, but it makes me hugely proud: it means it has seen some action, which is testament to the fact that my guests have also enjoyed some real adventures and created memories they will never forget.